Specializing in securing private charter flights for businesses and individuals, Charter Flight Group can assist you in finding the right jet flight for your needs. With over thirty years of providing private aircraft charter services to and from Aurora, Colorado, we can arrange a jet tailored to your very specific requirements. The private aircraft options we have to offer are countless, as we have access to thousands of air-charter flight planes. The luxury private jets we secure include only the latest models and classes of aircraft. In addition, we can arrange flights on light charter and mid-sized charter jets as well. We’ll even get you reduced prices if you want a one-way or empty-leg flight providing you have some flexibility as to when you can fly. We can schedule on-demand chartered flights to and from Aurora in just a few hours. From turbo prop charter planes such as the Beechcraft King Air 100 and the Cheyenne, to heavy charter jets like the Gulfstream G550 and the Challenger 601, we have the private jet you need. There is one International and two local airports servicing the Aurora area. You can choose the airport that is closest and/or has some convenient amenities. The Denver International Airport (DEN), just 12 miles from the center of Aurora, Colorado offers Internet, phone, and fax machine access to all travelers, private and public. It is the largest airport in the United States in terms of area – 53 square miles. Centennial Airport (APA), 18 miles from Aurora and 13 miles from downtown Denver, is located in the center of the Denver Tech Center. Surrounding the Center are twenty-three business parks. It is an international airport with three runways and only provides private charter flight services. It is considered a reliever airport for Denver International Airport. It has two restaurants. Rocky Mountain Metropolitan Airport (BJC), 24 miles from Aurora is also a reliever airport for Denver International Airport. Like Centennial Airport, it has U.S. Customs Services available 24 hours a day. It is near major business parks, recreational facilities, and concert and sport venues. The terminal building houses the Mt. Evans conference room with seating for 12 to 80 people, which is particularly useful for business travelers who have to charter a flight to fly in and out for a meeting on the same day. If you are chartering a private flight to Aurora on business, it might be convenient for you and your associates to stay at a hotel close to the airports. Near Denver International Airport, there are several that offer quality lodging and business services including the Fairfield Inn & Suites Denver/Aurora Southlands, and Cambria Suites Denver Airport. Near Centennial Airport are The Inverness Hotel and Conference Center, and Homewood Suites by Hilton Denver Tech Center. Hotels near Rocky Mountain Municipal Airport are Hilltop Inn & Suites, and Omni Interlocken Resort. Travelers who charter private for vacation to Aurora, Colorado will find many attractions for adults, kids, and families to enjoy. 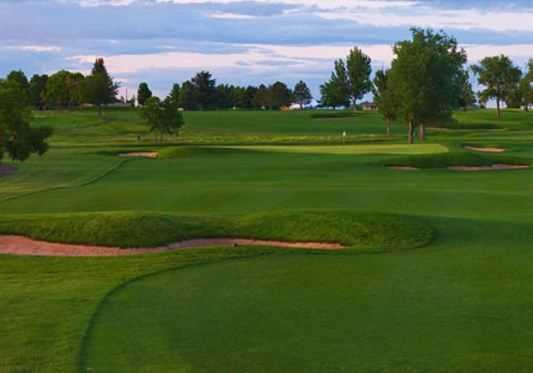 You and your family can enjoy Cherry Creek State Park, the beautiful outside Southlands Mall, Springhills Golf Course, Aurora History Museum, and the Aurora Fox Arts Theater. Why Choose Charter Flight Group for your Private Travel to Aurora, Colorado? 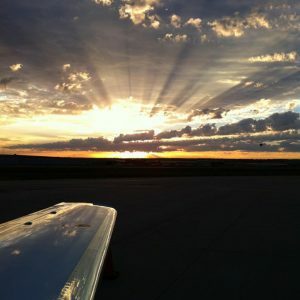 With our fleet of luxury charter jets, your trip to Aurora, Colorado will be safe and enjoyable. Charter Flight Group will cater to all of your needs, whether you charter a flight for business or for pleasure. With our countless access to thousands of planes, you will get the perfect chartered private jet for your particular situation, flown and maintained by the finest pilots and maintenance crews in the business. With our 100 percent impeccable safety record, we know you and your family, friends, or business associates will be able to sit back, relax and enjoy your private chartered flight.